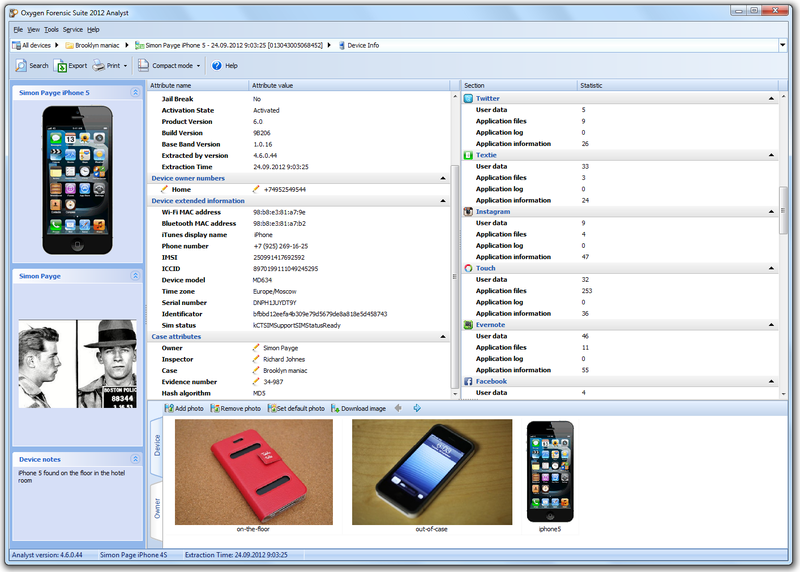 Oxygen Software releases an updated version of Oxygen Forensic Suite 2012, the company’s flagship mobile forensic tool, adding forensic support for Apple’s latest iPhone 5, iOS 6 and iTunes 10.7. By adding support for the latest Apple hardware and software, Oxygen covers a quickly growing niche of devices running or upgrading to iOS 6. In addition to new Apple hardware, Oxygen adds support for a several new Android devices, boosting the number of supported phones to over 6000. The addition of DMG image support allows users of phone acquisition tools manufactured by Cellebrite, Elcomsoft, Lantern Lite and other makers to get superior analytics compared to built-in capabilities of many mobile acquisition tools. Oxygen has recently announced its plans to support the latest Apple iPhone. Today these plans have come true with Oxygen Forensic Suite 2012 v.4.6. The latest release enables forensic support for Apple iPhone 5, opening the door for forensic experts to investigate crimes committed by the users of latest generation Apple smartphones. At this time, estimates on the user adoption of Apple’s latest iOS, the iOS 6, vary by a substantial degree. Estimates range from 45.3% (Chartboost) to more than 60% (Onswipe). All estimates apparently to agree that nearly (or just over) half Apple customers have already upgraded to the latest version of iOS. In version 4.6 Oxygen Forensic Suite 2012 adds full support for Apple’s latest version of iOS, enabling forensic users to acquire and analyze information from a wide range of devices using the new operating system. Devices supporting iOS 6 include iPhone 3GS, iPhone 4, 4S and 5, 4th and 5th generation iPod Touch, iPad 2 and The new iPad. Oxygen Forensic Suite 2012 v.4.6. now also fully supports iTunes 10.7. In addition to supporting Apple’s new hardware and software, Oxygen Forensic Suite 2012 adds support for a bunch of freshly marketed Android devices, boosting the total number of supported devices to over 6000. 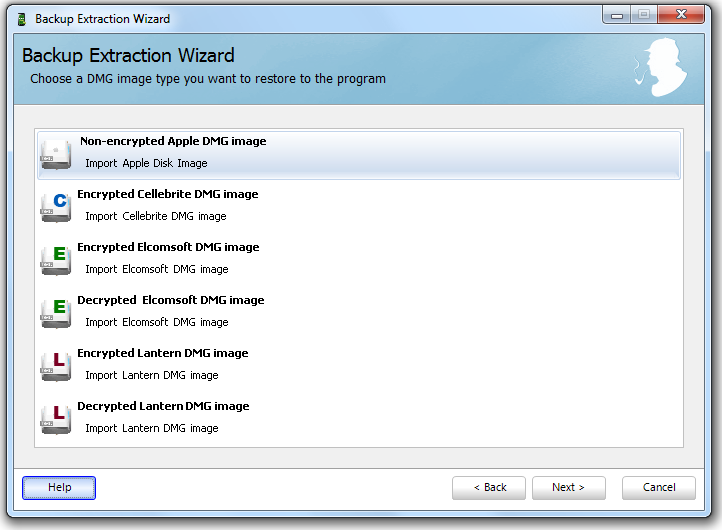 The added DMG image support allows Oxygen users accessing encrypted and decrypted DMG images saved by third-party applications manufactured by Cellebrite, Elcomsoft, Lantern Lite and other makers of digital forensic tools. By offering superior analytic support compared to many mobile acquisition tools, Oxygen Forensic Suite 2012 greatly extends the functionality and value of those packages, helping forensic experts investigate complex cases and gang offences. Oxygen’s signature analytic features such as the Timeline, Aggregated Contacts and Communication Statistics are available for all uploaded DMG images, as well as deleted information and user data from many popular applications. The unique Timeline feature offers convenient, single-place access to all activities and movements performed by the user arranged by date and time. Investigators can track user location at every moment, build and map their historic routes, and clearly see all activities performed by the user at each location. Timeline is now available for analyzing third-party DMG images. The Aggregated Contacts section offers at-a-glance access to all contacts of the device owner extracted from all supported communication applications. The Aggregated Contacts view displays contacts obtained from the Phonebook, Skype, Foursquare, and a large variety of supported messengers, social networks and chat applications. The latest release gains the ability to extract contacts from third-party DMG images, making them available in the Aggregated Contacts view. Oxygen’s Communication Statistics analysis tools allow investigators discover social connections between the users of multiple mobile devices. Calls, messages and Skype conversations are analyzed to produce charts and tables revealing the users’ closest circle at a glance. Oxygen Forensic Suite 2012 helps investigators and forensic specialists access and analyze data from a variety of mobile devices such as cell phones, smartphones, communicators, PDA and tablet PCs. Currently supporting more than 6,000 different models, Oxygen Forensic Suite 2012 covers the widest range of mobile devices compared to competition, and allows fully automated acquisition and analysis of supported devices.